It often seems that the “taboo topics” in life aren’t really all that relevant until your teen years. As the seasons change, new milestones come and go. 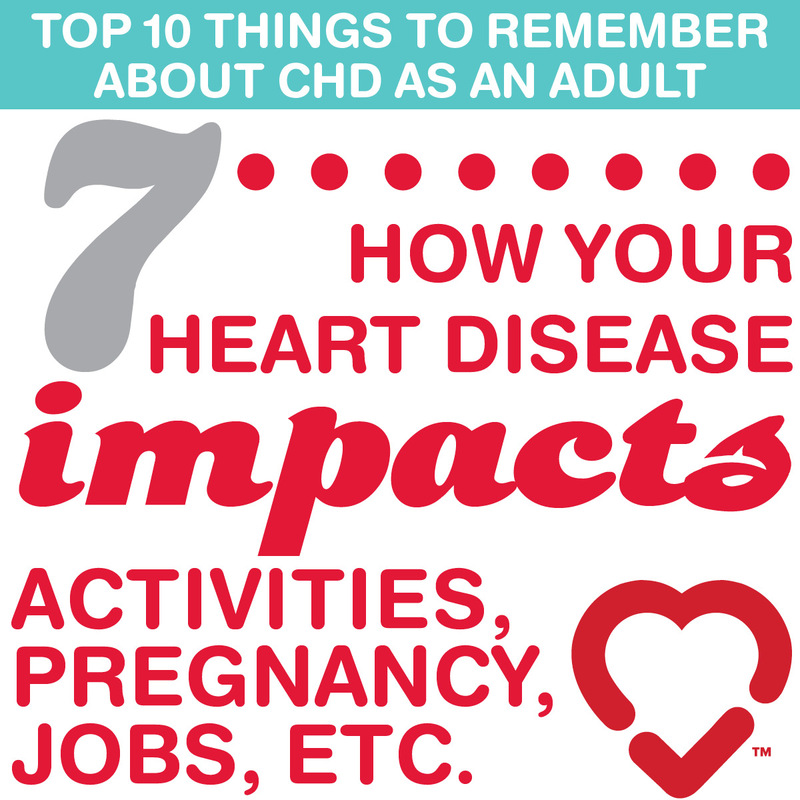 This can be an especially trying time in the life of an adolescent with congenital heart disease, especially as they are undergoing the major transition of leaving the nest and going off to college, joining the workforce, or just moving far from home. Dr. Aaron Kay, Director of the Adult Congenital Heart Disease Program at Indiana University Health, has the following Top Ten list to help ease the transition and cap off, for now, PCHA’s Teen Topic Series. This post was originally published in November 2017. 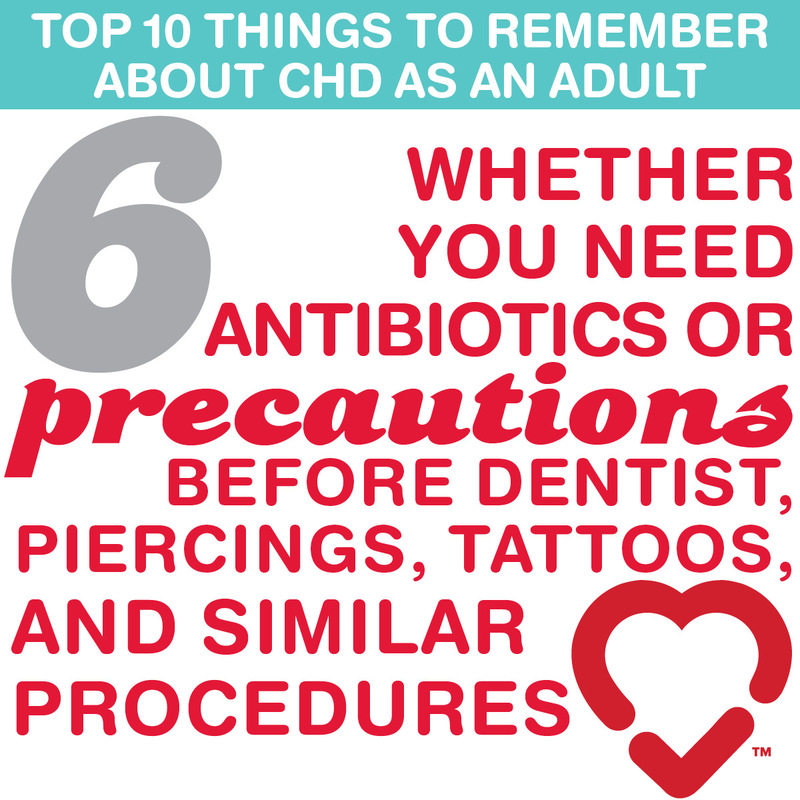 Many patients with CHD feel well at this point in their life, and in many cases, without significant symptoms, they may not see the need to see a doctor. There is a common misconception that CHD can be “cured” (which is possible in a very small minority of lesions). Some conditions require follow-up more frequently than others. The “transition” period is an especially risky time for teens to become “lost to follow-up” as they may not necessarily know how to make their own appointments, and may not know how to find a new doctor. 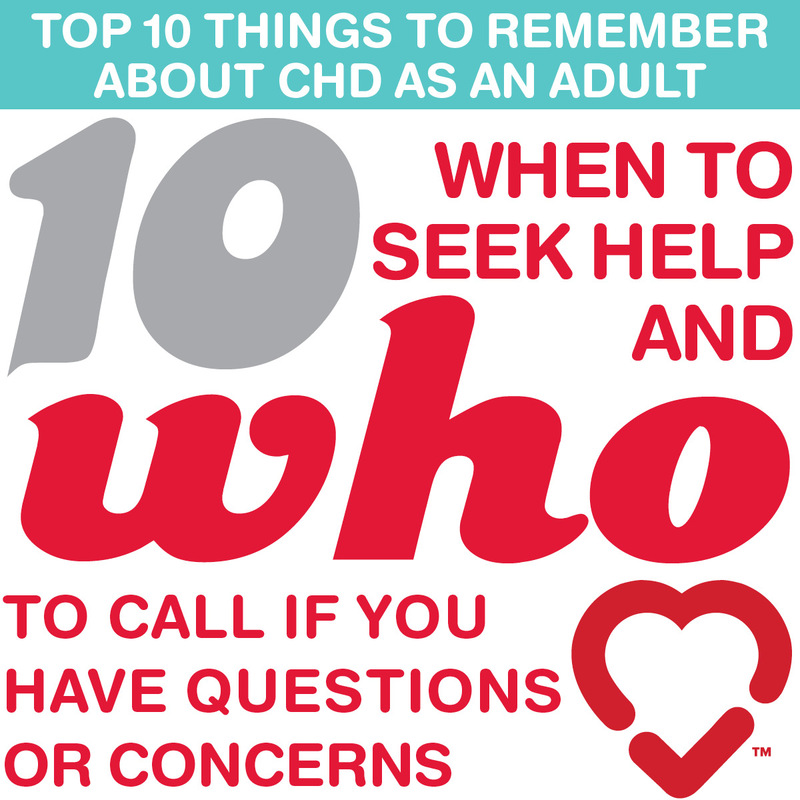 Please discuss with your CHD provider who they should be seeing as they become adults, and if your child has not seen a CHD provider in the last 12 months, now would be a great time for a quick visit to make sure your teenager has a better understanding of their specific problem and how frequently they need follow-up. 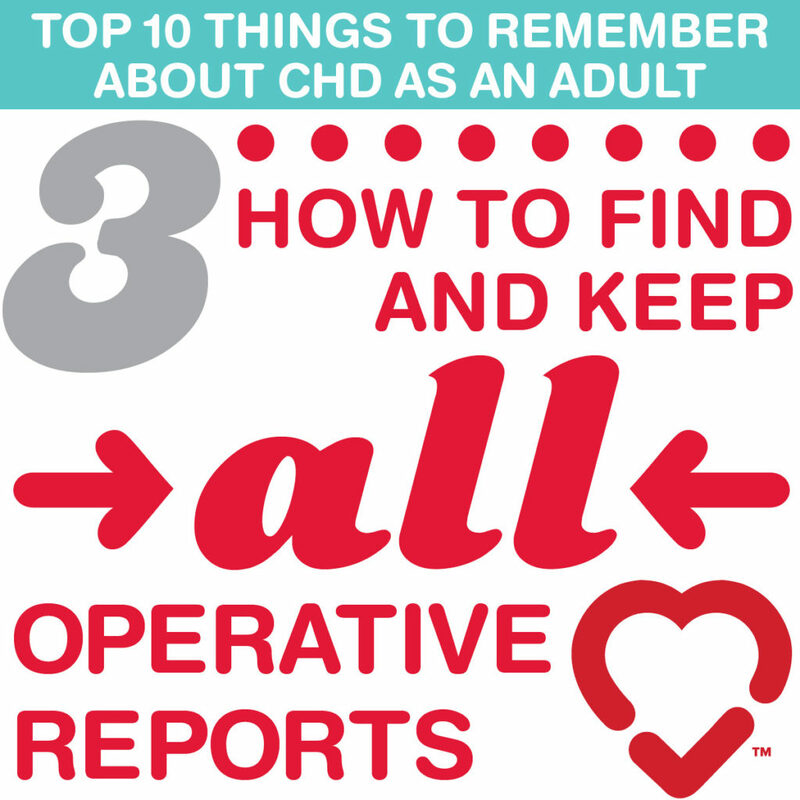 Ideally, your family would already have a copy of all the operative notes from all surgeries, catheter procedures, pacemaker implantations, and electrical studies of the heart. A great deal of time and unnecessary testing can be saved if you have a copy of this information. 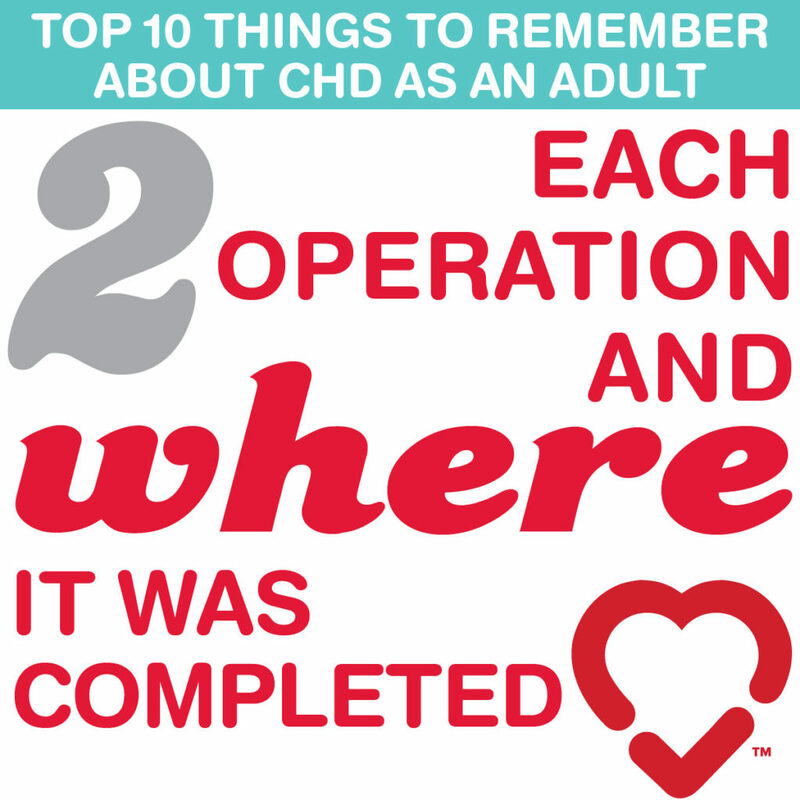 Knowing the exact history of what was done, who it was done by, where, and when can really help a new CHD physician rapidly identify the best strategies for follow-up for your child. For example, it is very helpful to know what kind of artificial valve, as well as what size of valve, was implanted. 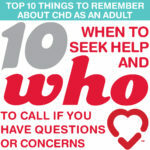 It can help a CHD physician understand how long to expect the valve to last without replacement, as well as the likelihood of being able to replace it in the cath lab, versus being able to follow by just echocardiography or cardiac MRI imaging. 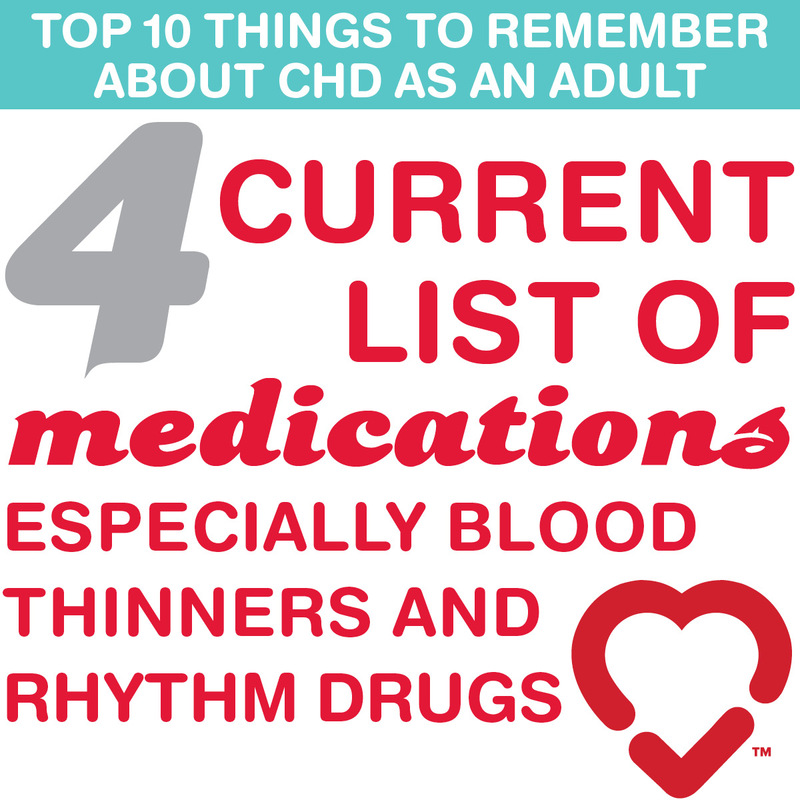 If your child is on Coumadin to prevent a blood clot, this is incredibly important information.Likewise, rhythm control drugs are important to know about. Many of these drugs will have interactions with other new drugs that are commonly prescribed, for example, antibiotics. In some cases it may be important to consider getting a medical bracelet for your loved one in case of emergency. 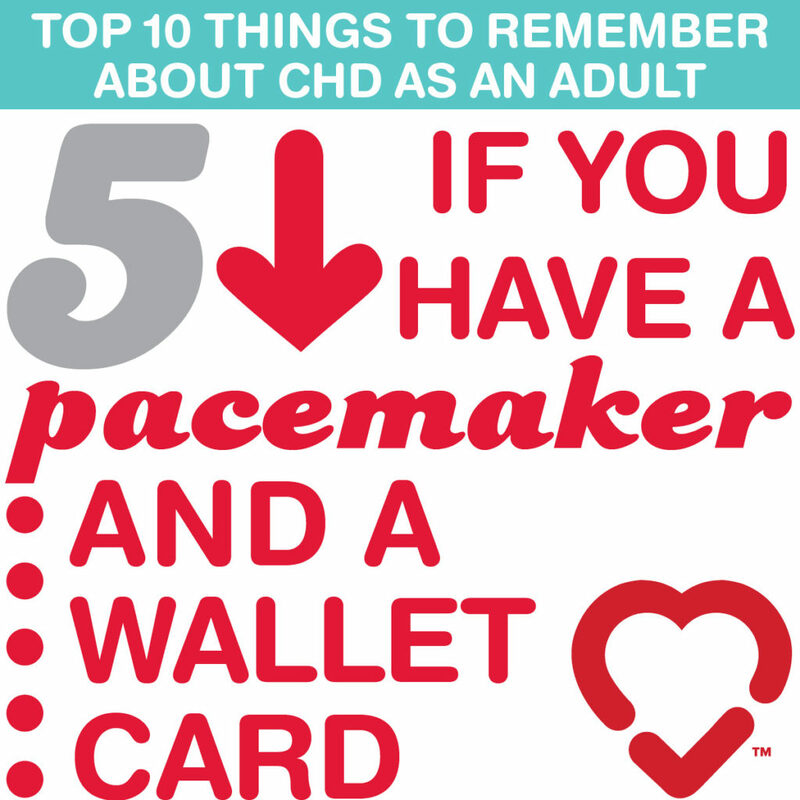 A wallet card identifying the manufacturer of a pacemaker or defibrillator is very important, especially in case of emergency. You don’t want to think about bad things happening to your loved one, but if they suffer an ICD shock and are temporarily unconscious and unable to speak for themselves, emergency personnel with access to this information will be much better able to care for your child. Although endocarditis is rare, the consequences can be very severe. 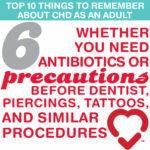 Guidelines changed about 10 years ago, but overall whether or not a patient needs endocarditis prophylaxis is a matter of clinical judgment. I advise you to ask your physician or other provider about this. If your child is not allowed to lift heavy weights due to their condition, they should be steered toward a job that does not require heavy physical activity. For the most part, pediatric cardiologists already do an excellent job with this type of counseling. 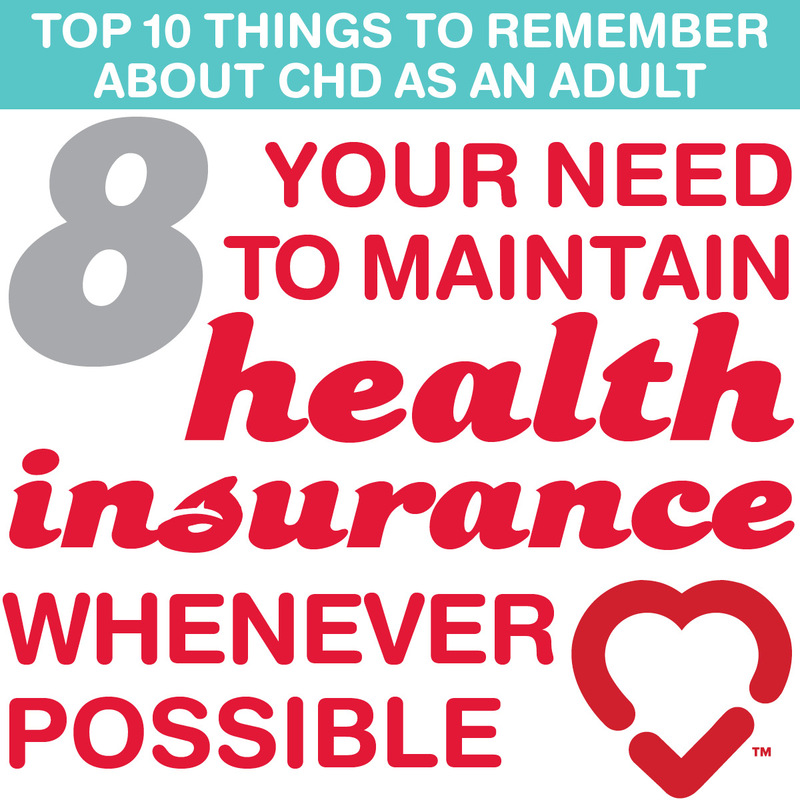 Fortunately, at least for the time being, CHD patients can remain on their parents’ medical insurance until they are 26 years of age. This policy gives ample time for most patients to have a plan to have insurance for themselves, although there are exceptions. 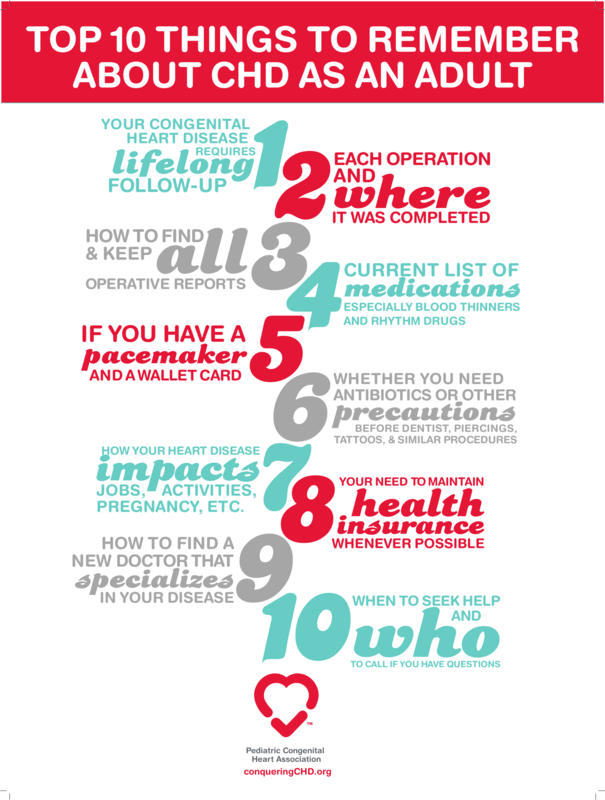 Without insurance, many preventable things can’t be appropriately prevented. Virtually no one can afford open-heart surgery, catheter procedures, or other major heart procedures out-of-pocket. If your family does not have private insurance, please ask your care team for resources to learn how to find alternative insurance through Medicaid or other similar State programs. 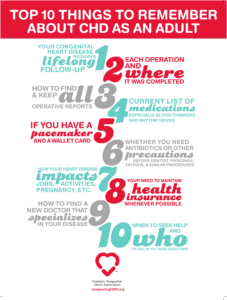 A great resource on the web is the Adult Congenital Heart Association clinic directory, which can be found here. This directory can be searched by each state and virtually every large city currently has a program listed on the website. Contact information to help you make an appointment is available in this directory. 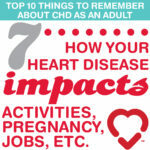 You should also discuss with your CHD care team which doctor they would recommend. 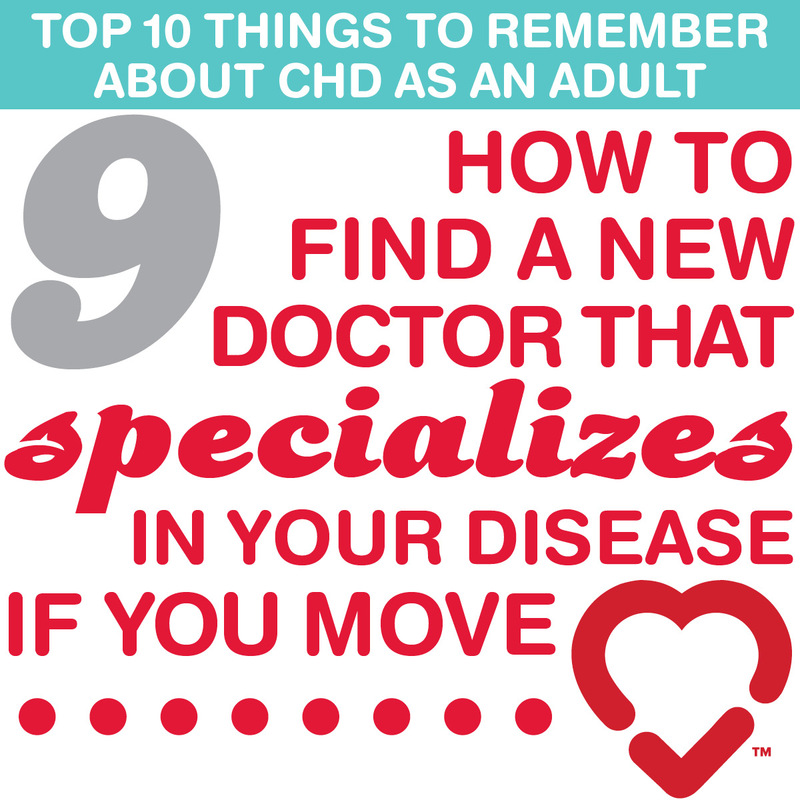 For some very complicated types of congenital heart disease, it may be important to determine where to move based on the availability of appropriate ACHD resources. Of course, in many cases, patients may still continue to “go home” during summer and college breaks and continue to see their original cardiologists. 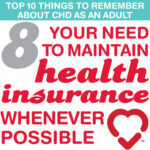 I would recommend that if a young adult with CHD lives more than a few hours away from their hometown that they should have at least a one-time “checking in” appointment at a local hospital or clinic, so that they can have their chart on file in the electronic medical record of the nearby hospital, mainly in case of emergency. Also have a plan in place for where to be transferred in case of a serious medical emergency. This may be the most important issue. The default option in case of emergency is the emergency department; however in many cases, a timely call to the right person can save an unnecessary trip as well as a lot of frustration. 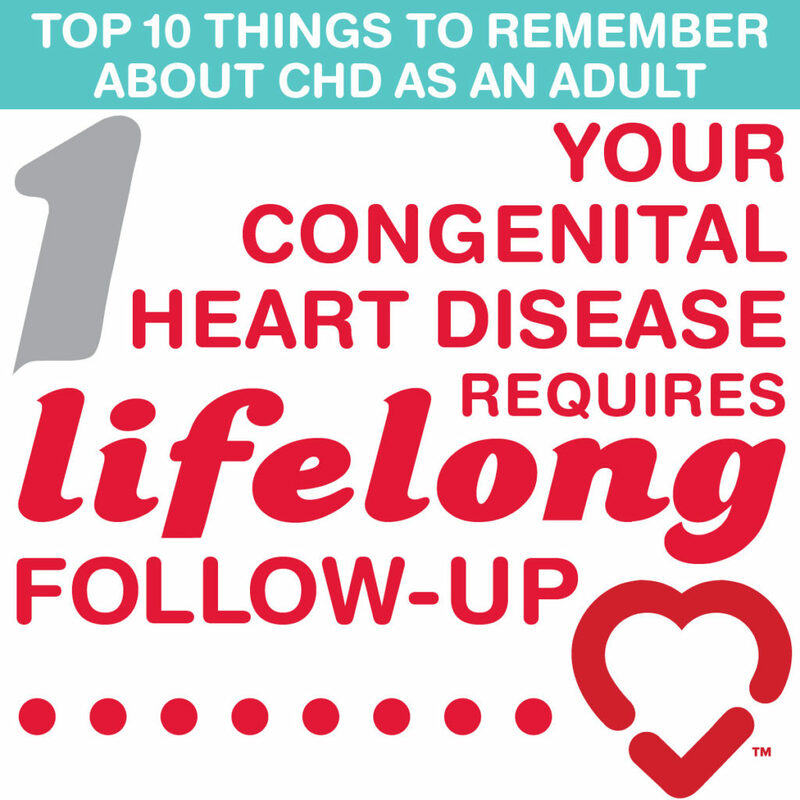 You should discuss with your current CHD care team who to call in the future, and when. Many routine and unexpected questions are going to occur throughout your child’s life, so knowing who to consider a “medical home” is quite valuable. 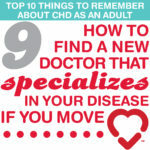 Dr. Kay is the Director of the Adult Congenital Heart Disease Program at Indiana University/Indiana University Health. 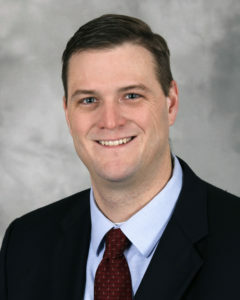 He is trained in both Adult Cardiovascular Medicine and Pediatric Cardiology. He is originally from Huntington, Indiana and has degrees in Spanish and Engineering from Purdue University. He completed training in Internal Medicine and Pediatrics at The University of Cincinnati/Cincinnati Children’s Hospital, and completed a dual fellowship in Adult Cardiology and Pediatric Cardiology at Nationwide Children’s Hospital and The Ohio State University. The post Teen Topics – The Top 10 Things to Remember appeared first on PCHA.